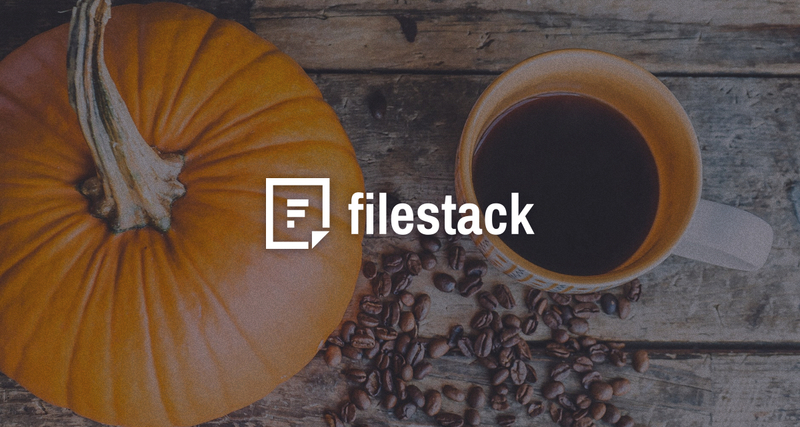 Happy Thanksgiving from our Filestack Family! – We welcomed our new CEO Sameer Kamat in August and have flourished as a team and company since. – Our US team moved into a new office space in September. It is a really wonderful space and I’d be remiss if I didn’t mention that we are all incredibly thankful for the great coffee options at the new place! – We brought our Content Ingestion Network to market early this year to speed up delivery of important user generated content around the globe. – Then we launched Filestack Intelligent Ingestion solving the issues of failed uploads and retry logic to really look at how uploads can be improved beyond solving network problems. – We added Filestack Adaptive to the list of tools we offer to make sure that delivering images on devices of any size are easy and effective for developers. – We met many new faces at Collision Conference, Drone Conferences, and recently at Developer Week in Austin. It has been a gift to us to talk to so many people who know the pain of file uploading and are willing to share their lessons learned so that we can work to continually solve them. It’s Turkey Day, and bird is the word! Cast yourself and four friends as rockin’ gobblers, and get those tails shaking! Mostly as we reflect on gratitude as a team, we are thankful that we have so many wonderful customers who trust us each day as the leading company for content ingestion and reliable uploads.